It’s almost Pancake Day! You don’t have to go completely off track to celebrate Shrove Tuesday, check out these delicious clean eating pancake recipes below. If you are looking for something more traditional then this Clean Eating English Pancake recipe is the one for you. This is what we shall be having tomorrow with lemon and honey… YUM! If you are looking for something a little more fluffy, then these Clean Eating American Pancakes are always a winner! 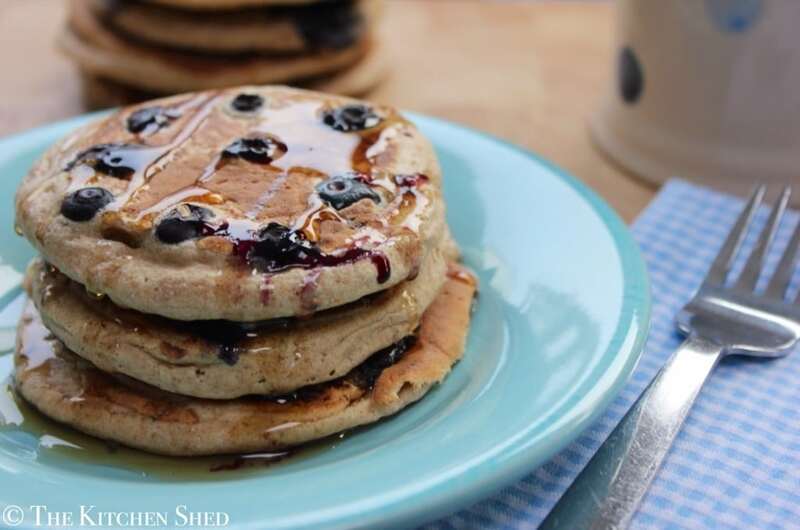 If you are feeling a little fruity, then why not try these Clean Eating Blueberry Pancakes. They are beauties! If you fancy trying something new then these Clean Eating Buckwheat Banana Bread Pancakes are super yummy! Yay for pancake day. I am making some healthier black forest pancakes today. Some really lovely pancake recipes here! Would love to try making buckwheat pancakes as I’ve never used buckwheat flour for pancakes before. Thanks Petra! We do love the buckwheat pancakes in this house! Wow so many delicious pancake recipes! I eat buckwheat noodles very often (love the taste) and buckwheat porridge so I would love to try your pancakes! Thanks Alida! Buckwheat porridge sounds good! The pancakes are a hit in our house 🙂 Thanks for your comment! I have always cherished making and eating pancakes but they are normally high in calories and not very healthy.